Listen to the best bits of the Grant Goldman Breakfast Show 9th June 2017. Listen to the best bits of the Grant Goldman Breakfast Show 8th June 2017. Listen to the best bits of the Grant Goldman Breakfast Show 7th June 2017. Listen to the best bits of the Grant Goldman Breakfast Show 6th June 2017. Listen to the best bits of the Grant Goldman Breakfast Show 5th June 2017. Listen to the best bits of the Grant Goldman Breakfast Show 2nd June 2017. 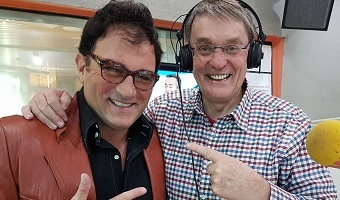 Grant Galea joins Grant Goldman in studio. Listen to the best bits of the Grant Goldman Breakfast Show 1st June 2017.